The most famous manufacturers of friction products reasonably believe that the efficiency, reliability and wear resistance of the brake mechanism depend on the quality of its components. One of the most important components of the brake assembly is asbestos-free brake pad which is produced by DAfmi. Products are made by the method of hot-molding a mixture (in molds with electrical heating). The standard asbestos-free friction mixture, of which brake pads are made on DAfmi, contains 20 or more components. Each of them is responsible for the operation of the brake pad in different loading modes. According to customer reviews, DAfmi pads are reliable in use and take a little time to work on. They have high mechanical strength, retain their use properties in areas with temperate, tropical and cold climates at temperatures up to minus 60 °C. Today the range of products of the enterprise is about 500 items of disc and drum brake pads for more than 2000 models of cars produced in Asia, Europe and the CIS. The company’s products are represented by trademarks INTELLI, DTC, DАfmi SM and DАfmi HD. 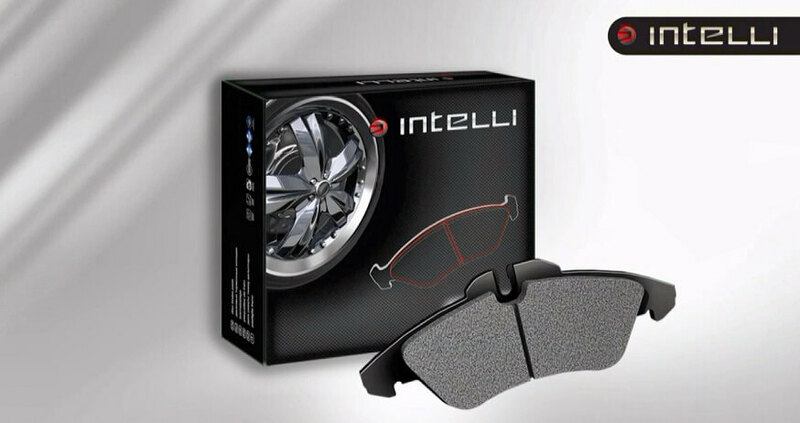 INTELLI are «premium» class brake pads. Their main difference is the use of SAVE DISC TECHNOLOGY (preservation of the brake disc) and NOISE FREE (without noise) technology in their manufacture. 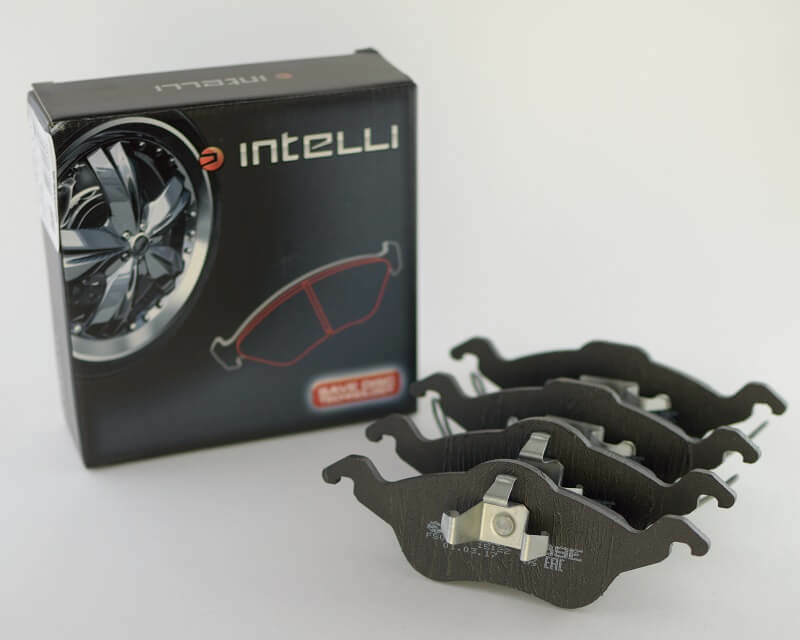 In the framework of these technologies, the friction mixture for INTELLI brake pads does not contain steel fibers, but mineral and plant materials. it will be important for lovers of aesthetics that INTELLI friction pad layer does not leave wear products on the rims. You can be sure of their purity! 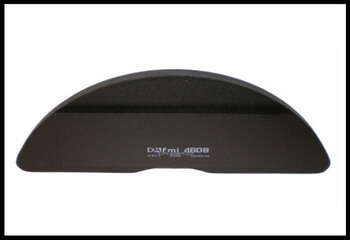 DAfmi SM brake pads continued the friction traditions of DAfmi (previously popular pads TM DAfmi, DAfmi-plus, DAfmi-T7) and combined the properties of steel and mineral fibers necessary for comfort braking successfully. The content of metallic wool in these pads is almost two times lower than in common asbestos free metal-containing brake pads. Hence the name SM (Semi Metallic), which means “semi-metallic”. 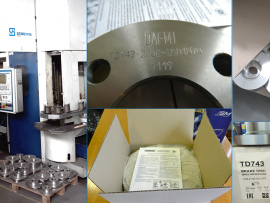 DAfmi SM brake pads passed full-scale tests on the company’s vehicles, as well as in a number of fleets, where cars are operated in taxi mode successfully, on the dynamometer stand of DAfmi and in the independent laboratory of NAMI (Moscow, Russia). 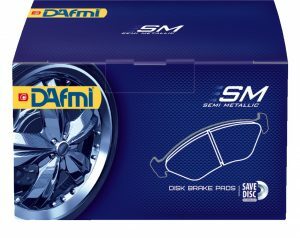 Also the advanced technology SAVE DISC TECHNOLOGY is used to a lesser extent in the production of DAfmi SM brake pads. 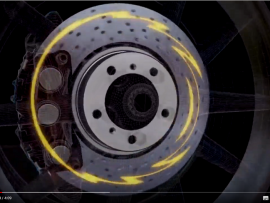 Due to this, these products also ensure wear of the brake disc, which is close to the minimum. The term of operation of brake pads meets the requirements of leading manufacturers of elements of brake systems in Japan, Korea and European countries. The force of separation of the brake pad from the base is 4 MPa (at a rate of 2,54 MPa). The coefficient of friction remains stable when heated to 700 °C, and in both dry and wet conditions of operation. 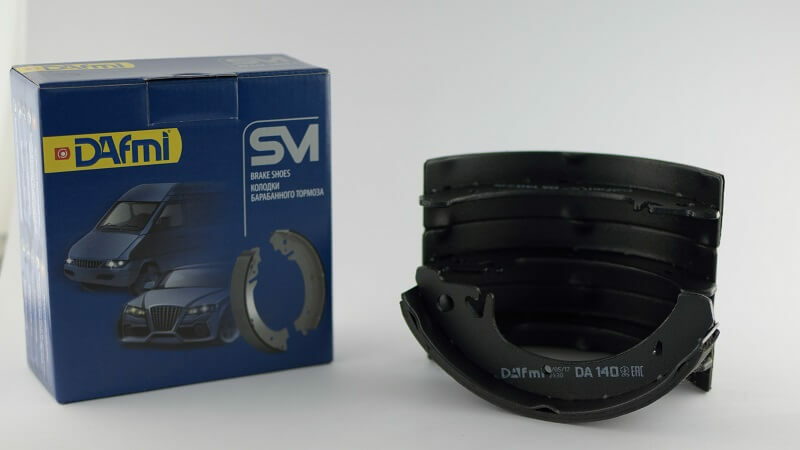 The wear resistance, friction and strength characteristics of the DAfmi SM drum brake pads fully comply with AvtoVAZ requirements. These products have been successfully tested at the dynamometer NAMI (Russia) and AvtoZAZ (Zaporozhye). The company’s product range includes drum brake pads for the GAZ-3302 Gazel, Moskvich-412, ZiL Bychok 5301, Slavuta, Lanos, Sens and a number of foreign cars. DTC are «economy» class brake pads. Some expensive imported components in them are replaced by high-quality domestic ones. These products are designed in full compliance with the requirements of automakers in the CIS countries. They passed numerous tests both at the DAfmi dynamometer stand, and at the independent testing centers of the Zaporizhia Automobile Plant and «NAMI» (Moscow). 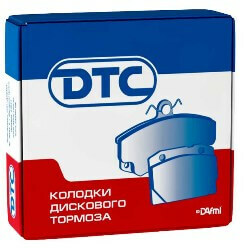 According to the test results, DTC brake pads received a certificate of compliance with the requirements of the Technical Regulations “About the safety of wheeled vehicles” (valid in the Russian Federation since September 2010). A distinctive feature of this product is that the copper-containing materials in it are replaced by more efficient environmentally friendly components. These products are tested by long road tests. 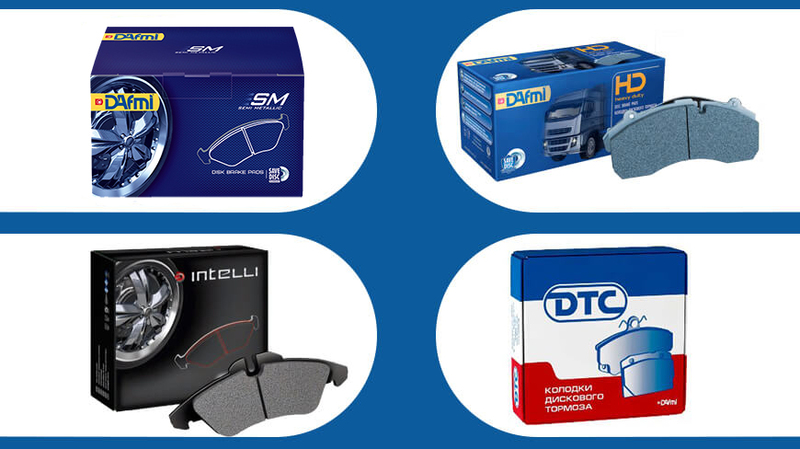 The range of DAfmi HD brake pads has only four positions, but their applicability covers the most common trucks in the CIS countries. These brake pads have a design feature: the area of the support plate is smaller than the friction part. For this reason they are not produced by all manufacturers of friction products. This is one of the promising areas for DAfmi. The plant has brake elements for the combine DON and tractors manufactured by YUZHMASH and KhTP, friction liners for press-forging equipment and other products for the engineering, salt-mining, metallurgical and printing industries.